Well, I don’t know about everyone else… But I’m starting to feel like winter is NEVERRRR going to be over! We are experiencing teases of spring one day and arctic blasts the next. If you’re like me and you need some comfort food to spice you up on those below zero days, try this recipe! 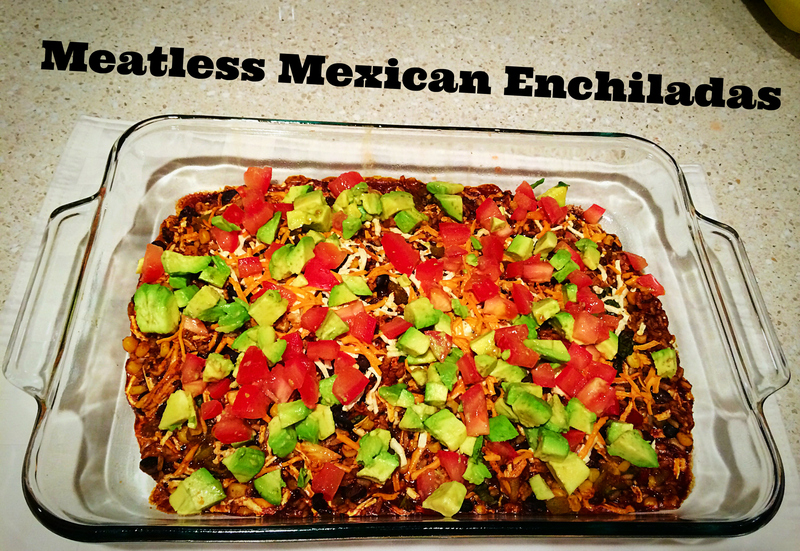 You can make this as a casserole, use it as a dip with chips, or you can roll it up as traditional enchiladas… whichever you prefer. I may or may not have eaten mine straight out of the dish… 😉 MMM MMM Delish!! In a large saucepan of 2 cups water, cook quinoa according to package instructions and set aside. In a large bowl, combine quinoa, enchilada sauce, green chilies, corn, black beans, cilantro, cumin and chili powder. Season with salt and pepper to taste. Stir in 1/2 cup cheddar cheese and 1/2 cup mozzarella cheese. Spread quinoa mixture into the prepared baking dish. Serve immediately, garnished with avocado and tomato, if desired. looks great! i am going to try it! thanks Kat!